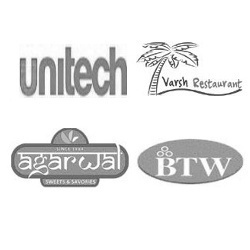 Established in the year 2003, in New Delhi (India), we, “Aahar Kitchen Equipments,” are recognized as the prominent manufacturer, trader and supplier of Kitchen Equipment, Tables, Racks & Trolleys, Catering Equipment, Refrigeration Equipment, Bakery Equipment, Juice Dispensers and Popcorn Machines. The offered products are widely used in hotels, restaurants, commercial kitchens and other food industry. These products are widely appreciated among our clients for their attractive design, low maintenance, easy to operate, specious, optimum performance, reliability and durability. The offered products are manufactured under the guidance of skilled professionals using high grade raw materials and the latest technology in accordance with international quality standards. Our team of procuring agents procures raw material of optimum quality from certified vendors of the market. Apart from this, we offer these products in various designs, sizes and other related specifications as per the requirements of our clients. With highly driven technical excellence and advanced infrastructure, we have been able to offer our clients a vast array of products. In order to work smoothly, we have divided our infrastructure into numerous departments such as manufacturing, quality control, research & development, warehousing & packaging and sales and marketing, etc. Our manufacturing unit is well-equipped with the required sophisticated machines and advanced technology for manufacturing quality-assured products at rapid production rate. We also ensure that the machinery is updated on a regular basis in tune with the latest technological development. These departments are handled by skilful professionals in order to meet the bulk requirements of our clients within stipulated time frame. We have the support of well-knowledgeable and talented professionals who facilitate us offer a broad range of products as per the specific needs of clients. Our team members work in close coordination with each other and endeavor hard to recognize the different requirements of the clients. Under the vigilance of our Proprietor, “Mr. Dinesh Bhardwaj / Mr. Yogesh Sharma”, we have served a number of clients proficiently. Owing to their vast experience in industry, we have been able to establish ourselves as one of the leading firm in this domain. With the inclusion of contemporary machines and advanced tools in all our processes, we are engaged in offering a distinguished assortment of products. The offered products are manufactured by our professionals at par with the set industry standards using optimum quality raw material and advanced technology. We have established an in-house quality-control unit that is installed with the latest tools and equipment to check the quality of products. The offered products are stringently tested on various parameters by our quality controllers before delivering it to clients’ end. Thus, the only aim of our organization is to offer quality assured products to clients in order to attain their maximum satisfaction. To achieve high level of client satisfaction, we work in close tandem with the clients and meet required specifications laid down by them. Furthermore, with our competitive pricing policy, customized solutions and ethical & transparent business dealings, we have been able to attain utmost client satisfaction. With the constant support of our team of expert professionals, we are engaged in offering a huge assortment of products. We have hired dedicated professionals who have in-depth knowledge in their respective domains. We are supported by a team of professionals like procuring agents, quality controllers, R & D professionals, etc. These professionals work in sync with the clients to fulfill their exact needs within a predefined time frame. Besides, we conduct different training sessions and workshops on a regular basis in order to enhance their skills and knowledge. To beat the competition and stand tall in the market, we are engaged in offering a qualitative range of products. The offered products are manufactured using premium quality raw material and latest technology in compliance with the set parameters of the industry. The raw materials that are used in our products are sourced from the renowned vendors of the market. Moreover, our quality controllers closely examine the finished products to ensure that these are free from any kind of manufacturing defects. We have marked a distinct position in the market by providing high quality range of products. We have developed a state-of-the-art infrastructure unit sprawling over a large area. In order to maintain smooth work flow, our infrastructure is divided into different departments such as manufacturing, quality control, R & D, warehousing & packaging, etc. All these units are managed and controlled by our skilled and knowledgeable professionals. The production unit is equipped with advance machinery and technology that assist us in meeting the bulk and urgent orders of clients within the promised time frame.